Anyone knowledgeable on CARVIN guitars?? Discussion in 'Guitars in General' started by aynirar27, Apr 23, 2016. So I went into my local shop for some strings and things and ran in to this very cool Carvin strat guitar. I was told the p/u are a GFS overwound 60s set. probably added afterwards? I'm sure it's some sort of Bolt model, but it's the headstock logo that is throwing me off. 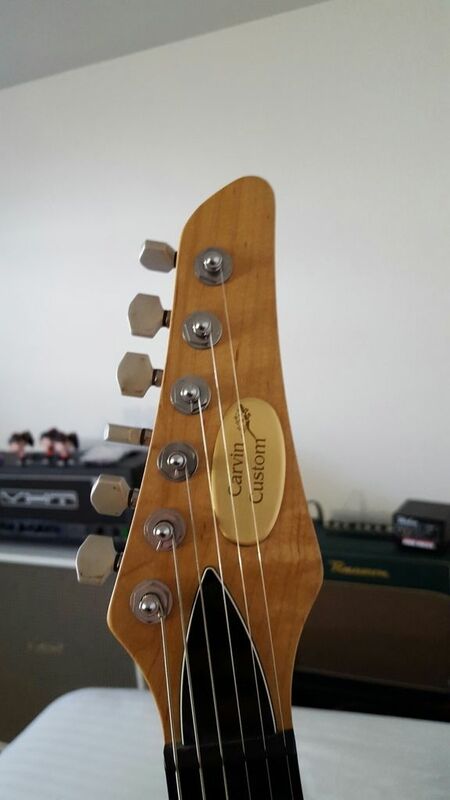 Is it just an older lower level Carvin custom shop guitar? or maybe just a fake?? Doesn't matter either way, the price was right and I enjoy playing it immensely. 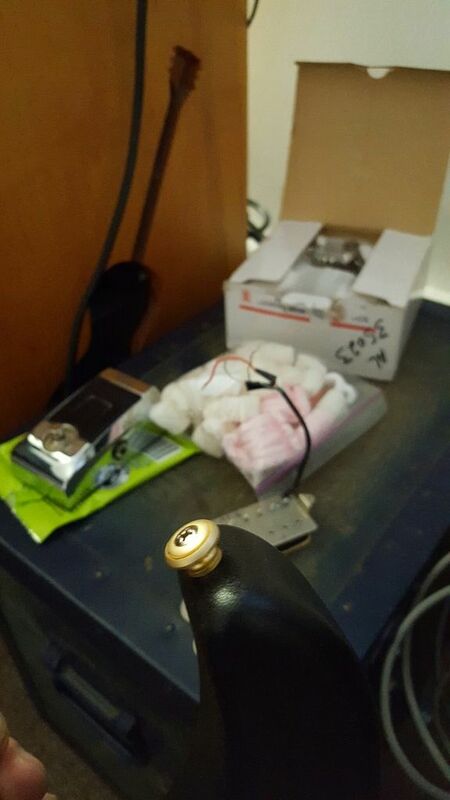 it has no serial number anywhere as far as I can tell. Any info you guys have would be greatly appreciated. 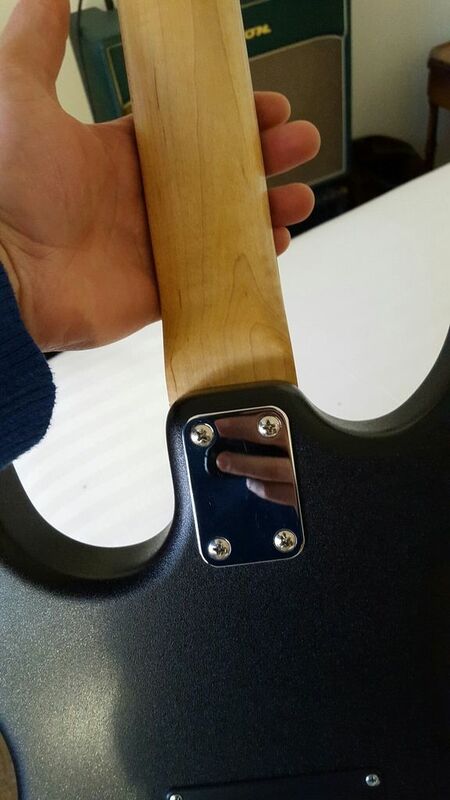 There doesn't appear to be any headstock or logo like that here. The truss rod cover looks like it could be legit. MrLahey and aynirar27 like this. That's probably one of the Carvin kit guitars that don't come with a headstock logo. Carvin offered an option to have their kit body painted in that textured, black finish - in shop. I had a Carvin Bolt. Truly one of the greatest feeling and playing necks ever. MrLahey, derekd, RussB and 3 others like this. thanks man. Very interesting read. I've had a few different Carvin amps but this is my first guitar. I think they put out some great gear. Thanks for the info. I've always wanted to try one of their kits haha. Whatever it is, it's a joy to play. You are right, the necks are wonderful. The neck of my Bolt was tung oil maple with a jet black ebony fretboard, 14" radius, and stainless steel medium jumbos. You really don't get any slicker than that, LOL! this neck has a bit of a gloss to it but very little, it feels nice. I'm trying my darndest to see some grain in the fingerboard so I am confident it's ebony. I'm digging it. This is bittersweet for me. I'm a serial guitar modder and not only is this the least expensive guitar I've bought in years, but I can't think of any way that I want to change it haha. Maybe the pickups someday. 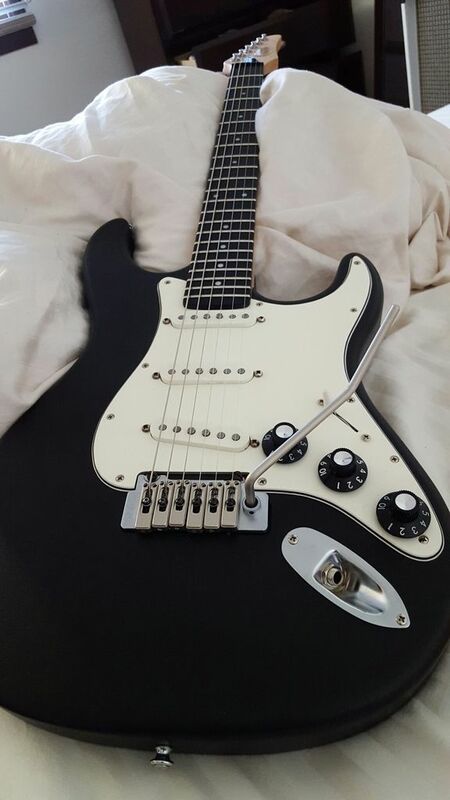 I'm a humbucker guy and blissfully ignorant about single coils. But this GFS set sounds just fine to me for the time being. Who buys a partscaster, then changes nothing?? 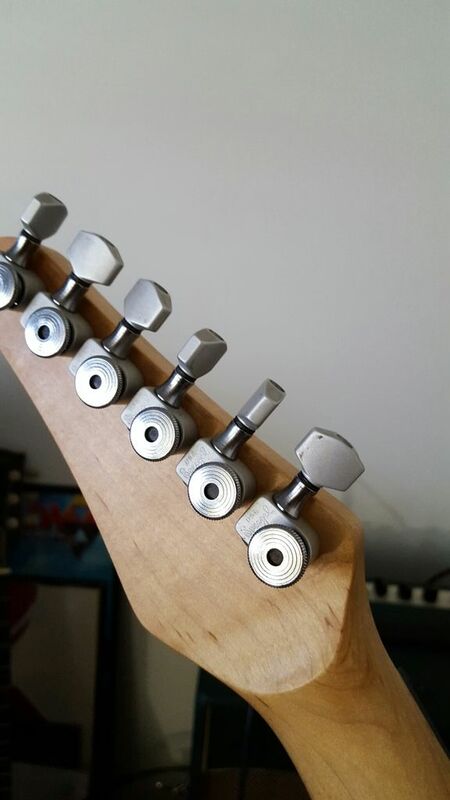 Who buys a partscaster, then changes nothing?? the guy behind the counter did a double take too haha. came with a real nice gig bag also. That is a bolt kit for sure. Here is mine from 2014. Dropped in a Suhr loaded pick guard. Otherwise totally stock. I had both the body and neck painted by Carvin. Ebony board, ss6100 frets, extra thick neck profile. Fantastic guitar! sweet thanks man. I was trying to imagine what a similar pickguard would look like on it. I'm sort of in love with the knobs though so I'm thinking about keeping it white for a bit. bolt kit with a logo that looks like it was made at some kiosk shop at the mall. RussB and HoboMan like this. The finest playing guitars I've had the pleasure of using. Enjoy!!! Your guitar looks pretty much like my Carvin kit guitar from around 1998. Sperzels, Wilkinson, ebony board were upgrades. Your pickups and witch hats are different but other than that much looks the same. Headstock logo not included. It's 100% a Carvin kit that someone put together. And I don't want to devalue your purchase in any way, but you didn't really get a "deal." $300 is actually the going rate for these. But at least you didn't get hosed or anything. I wouldn't have paid a penny over $300. Nice score. Get rid if that awful badge, and see if you can fashion up some sort of decal. I'm thinking "Would Special"....or "Wouldcaster"